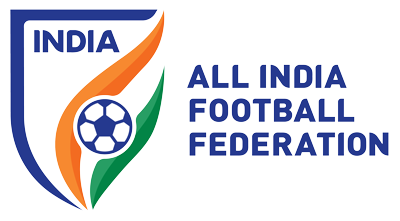 October 06, 2017 marked a historic moment in Indian football’s history as the Indian U-17 National Team became the first ever Indian participant in a FIFA Tournament, the FIFA U-17 World Cup India 2017. In their Group A opener of the FIFA U-17 World Cup 2017 India at the Jawaharlal Nehru Stadium in the Capital, the Indian U-17s faced USA and went down 0-3, in attendance of the Prime Minister of India, Shri Narendra Modi, AFC President Sheikh Salman bin-Ibrahim Al-Khalifa, Sports Minister Rajyavardhan Singh Rathore and the President of AIFF Mr. Praful Patel. A Josh Sargent penalty in the 30th minute, a Chris Durkin strike in the 51st minute and a Andrew Carleton counter in the 84th minute sealed the match for the opponents, as India succumbed to a hard-fought defeat. Playing any FIFA Tournament for the first time, the young colts soaked the American pressure. In the 5th minute goalkeeper Dheeraj Singh was forced into a save to keep the Americans at bay. A minute later however, with the crowd spurred, forward Aniket Jadhav ran onto a vacant left flank leaving two American defenders in his stride. Aniket, however cut inside and shot a little over the goal as India strived to get a feel of their opponents. Busy shifts from Rahul K.P and Ninthoi on the right flank kept Tim Weah quiet, while the pairing of Jitendra Singh and Anwar Ali dealt with Josh Sargent. In the 24th minute, Aniket Jadhav earned a corner kick for India, but Sanjeev Stalin’s delivery was met with a fury of American headers to clear away the ball. In the 30th minute, USA were awarded a penalty and Sargent scored from the spot to give the opponents the lead. Nine minutes later, Aniket Jadhav once again burst into the box in hopes of equalizing, but his cross was cut short by the American defence line. Apart from a 5th minute save and a penalty kick, USA did not materialize much in attack, still, Sargent’s goal meant that the Americans led 1-0 at half-time. Changing over, the Indian Colts attacked from the early minutes of the second half. Suresh’s pass found Ninthoi on the flank who targeted the goal, but could only shoot at the American defence line. In the 51st minute, Chris Durkin’s shot from inside the box took a wicked deflection leaving Dheeraj bewildered as USA doubled their lead. Five minutes later, Komal Thatal was released onto goal but Thatal could only help the ball over the bar as India hunted to close down the deficit. Anwar Ali had the next opportunity but he couldn’t connect with the header in the 64th minute. Matos reverted to a double change soon after with Rahim Ali and Naorem being brought on for Abhijit and Ninthoi respectively with 20 minutes still left on the clock. In the 84th minute Anwar Ali had the best chance of the night for India but his powerful shot came off the crossbar and as luck would have it Andrew Carleton scored on the counter to net their third of the night. India next face Colombia in an 8pm kickoff on October 9 at the Jawaharlal Nehru Stadium in Delhi.